For several years now, metformin has been recommended as the first-line drug for Type 2 diabetes by the American Diabetes Association (ADA). As we noted in a post last month, metformin is the most widely prescribed diabetes drug in the world due to its effectiveness, low cost, and low risk of hypoglycemia compared with many other oral drugs and insulin. But to get approval in the United States in 1994, metformin had to overcome safety concerns about lactic acidosis. This rare but extremely serious side effect was found to be too common in a drug related to metformin, phenformin, which was withdrawn from the U.S. market as a result in 1977. So since it was first sold in the United States in 1995, metformin has carried a black box warning — the strongest type of warning that the Food and Drug Administration (FDA) can require on a drug label — about the risk of lactic acidosis. Specifically, this warning states that anyone with chronic kidney disease should not take metformin if their serum creatinine level is equal to or above 1.5 mg/dl for men or 1.4 mg/dl for women. Serum creatinine is often used as a marker of kidney function. In theory, people with reduced kidney function may be at greater risk for lactic acidosis as a side effect from metformin, since the drug is broken down by the kidneys. But two separate teams of researchers recently came to the conclusion that the FDA’s black box warning on metformin is too severe, and that millions of people with both diabetes and kidney disease might be missing out on the drug’s benefits as a result. These studies were described in an article published last week by MedPage Today. In a research review published last month by the Journal of the American Medical Association, one group of researchers concluded that the risk of lactic acidosis from metformin is both extremely low and no greater than the risk carried by other diabetes drugs. 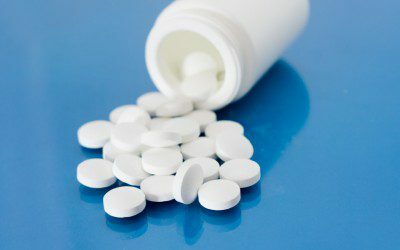 They assert that metformin has been shown to be safe for people with mild to moderate chronic kidney disease, defined as having an estimated glomerular filtration rate (eGFR) of 30–60 ml/min. As many as 2.5 million people in the United States, they estimate, have diabetes and chronic kidney disease with an eGFR above 30 but fall under the FDA’s prohibition because of their serum creatinine level. Another team of researchers tried to estimate how many people in the United States are actually affected by the FDA’s prohibition, since many doctors ignore the warning and prescribe metformin to patients with chronic kidney disease. Writing in the journal JAMA Internal Medicine, the researchers note that professional medical groups like the ADA and the European Association for the Study of Diabetes (EASD) already endorse metformin for patients with an eGFR as low as 30 or 45 ml/min. The researchers used data from the National Health and Nutrition Examination Survey, between 2007 and 2012, to conclude that about 425,000 people currently not taking metformin would be eligible for the drug if the FDA used an eGFR of 60 ml/min as the basis for eligibility, and that an additional 560,000 people would be in this situation if the FDA used 30 ml/min as the cutoff — bringing the total number of people who could benefit to almost one million. Do you have chronic kidney disease? If so, are you taking metformin, and has your doctor ever mentioned the risk of lactic acidosis? If not, would you be interested in taking metformin, with or without a change in the warning on the drug label? Should the FDA take its cue on drug safety and prescribing recommendations from groups like the ADA, or is it good that the FDA remains an independent arbiter of safety — even if that means being overly cautious sometimes? Leave a comment below!